Stranded Dreamscapes: The Prisoner is rated 3.9 out of 5 by 30. Rated 5 out of 5 by smilingsun72 from Charmingly creepy! Completed game: Help bring your niece Emmy out of a coma by entering into her mind and dreamworld. With the help of a fuzzy bear Barry visit beautiful scenes, solve a variety puzzles and find out the reason the doctor tries to get you to quit. I really like this game. The story is very well thought out. The voice acting very good. And the though the scenes are grainy they fit the genre of this game's theme well. I would say this game is NOT for young children. I would rate this as 13+ because some of the graphics are creepy. Especially the evil Emmy. I recommend this game. 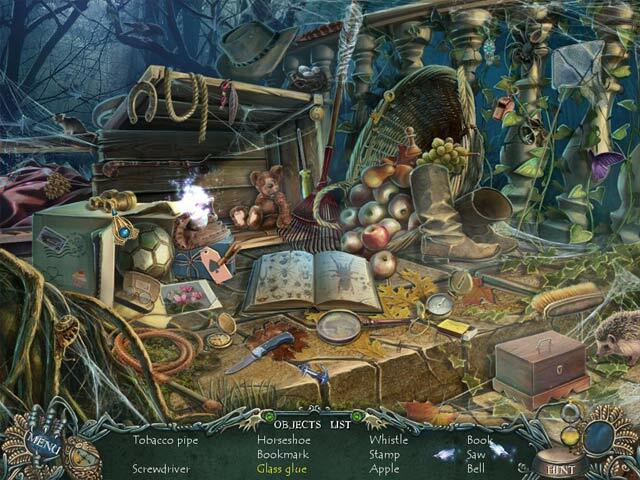 Rated 5 out of 5 by Forestdog from Fun Hidden Object Game With good artwork, map, music, HOS and mini games there's nothing to dislike about this game. It gets my thumbs up for easy entertainment. Rated 5 out of 5 by KernowRose from Great Game! Review bases on completed standard game. Completed game in 3.5 hours. I really enjoyed this game, it has a good mix of adventure, hog & puzzles, the gameplay was intuitive. I really enjoyed the storyline which wasn't cute but which also wasn't scary, hence the storyline suitable for most ages. The storyline concluded quite well, but I would have preferred to have known what happened to the Mother and the doctor, but maybe the collectors edition bonus chapter tells you this. The hog scenes were clear and quite easy, the puzzles were a god mix and I only had to skip 1, in my opinion the puzzles were between easy & intermediate. You find a talking teddy bear very early on in the game who isn't too cute as is sometimes the case, who provides you with hints if needed and who can be quite comical. I never had one of those of those moments of what should I be doing due to the great map with objectives marked on it The audio track was very fitting to the game and I really liked it, the visuals were great bright but not to bright and was not childish. I would put this game in my top 20% of games played (I have played 400+ games). Rated 5 out of 5 by boatgirl4347 from awesome surprise!!!!! NEVER NEVER EXPECTED THIS INGENIUS STORY AMAZING COLORS SUPURB VOICES WHAT A TREAT!! GOT IT WITH A COUPON WOULD HAVE PAID THE $7. OR MORE LOVED EVERY SECOND OF THIS GAME!! !PARTS WERE HARD THANK GOD FOR THE HINT BEAR!! GREAT LENGTH FOR SE I HOPE THE CATCUS AND MACKSYM ARE HARD AT WORK ON A NEW JEWEL!!! THANK YOU!!!!! 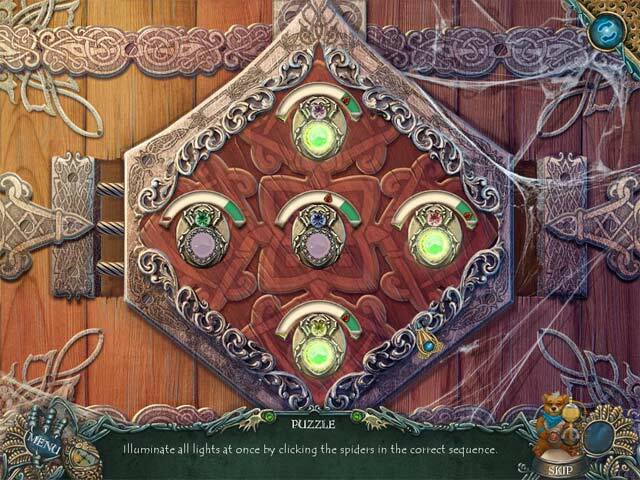 Rated 5 out of 5 by 2me2u from GREAT HIDDEN OBJECT GAME REALLY KEPT ME INTERESTED FOR THE ONE HOUR CS EXCELLENT TRIAL CANNOT WAIT TO FINISH IT. GREAT STORY LINE, GRAPHIC DLEAR. Rated 5 out of 5 by Plientje from A very nice game! Creepy and cute at the same time! You get to enter the mind of your niece Emmy, who seems to be lost in her dreams. In this dreamworld you need to find the solution for her fears and save her. I waited for the SE to come out, as I read from other reviewers that the CE didn't offer anything special. When there are no collectibles or achievements I tend to buy the SE. So, now finally here it is! It's a lovely game, with a very good flow and a good storyline (although nothing really that we haven't seen before). But I really loved it, it is beautifully drawn, and very clear and lots of attention to details. The HOS are good, with clear items, nothing to tiny, maybe even a bit on the easy side for me. Puzzles are partially well known, some new one's and of medium difficulty. There is a very nice jump-map, that shows you where there is something to do. And of course there is Barry, Emmy's teddybear you find very early on in the game. He is really cute and helps you along the way with tips. He has a very friendly voice, but is not too talkative. I have been anxiously waiting for this SE to come out, and already spent a couple of very fine hours with it. Now I have to hurry and got on, as I absolutely want to know what happens next! Happy gaming all! Enjoy. 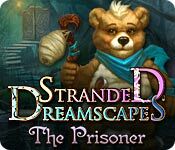 Rated 5 out of 5 by 7Rusty from Stranded Dreamscapes: The Prisoner This is a delightful game to play! I found it to be quite entertaining and fun to play. So many of the games are gloomy and far too much running around it seems just to fill in time wise. If you desire a break from doom and gloom, I think you will enjoy this game. 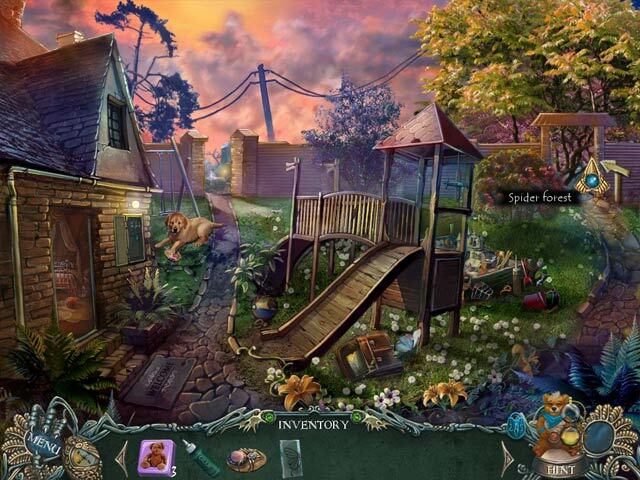 Rated 5 out of 5 by moonbeam3434 from Hidden Object facing fears Good vs Evil! Love the games where I am the hero! Rated 5 out of 5 by cindylouw from I love this game! It is easy for the new HO user. I loved that there wasn't a whole lot of HO everywhere you turned. I love this game! It is easy for the new HO user but fun for the kid in me. I loved that there wasn't a whole lot of HO everywhere you turned. There were mini challenges and other things to do. I loved the bear that was your hint guide. Rated 5 out of 5 by rosekaufmann from DELIVERS THE SCARY AND SPOOKY ELEMENTS I love scary movies and this game has got to be among the top 5 scariest/spookiest games I've ever played. The animations that turn ordinary objects into imaginative, scary, grotesque characters is the best I've seen. Objects just seem to naturally morph into creatures from your worst nightmares. The voice overs are pretty good; you get an interactive map; hint system recharges fairly fast. The HOS are very nicely done - you get a break from having objects morphing into horrific scenes. This is a game to play on a dark, stormy night. (Too bad we don't have them in L.A.) I would suggest with the lights off, but the graphics and animation might be a bit much. I think I would actually get a nightmare, even with the lights on at night. SUMMARY: Love that this nightmare of a game actually lives up to its description. There are quite a few games which promise you a scary and nightmarish atmosphere. Some came close to delivering, but next to this one, I will have to redefine what a nightmarish game is. Some people will likely have a difficult time accepting it. Beautiful graphics and first rate story.